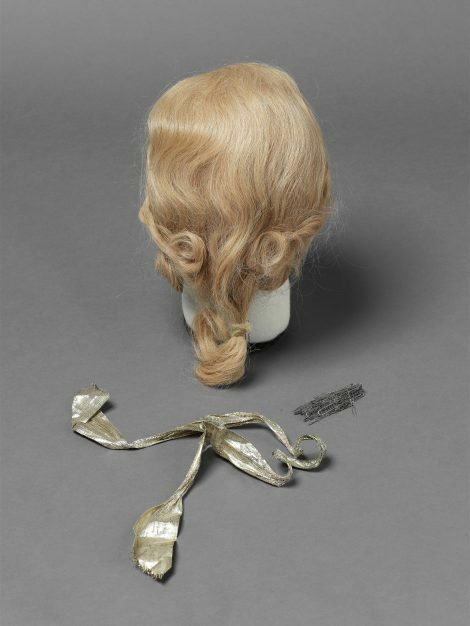 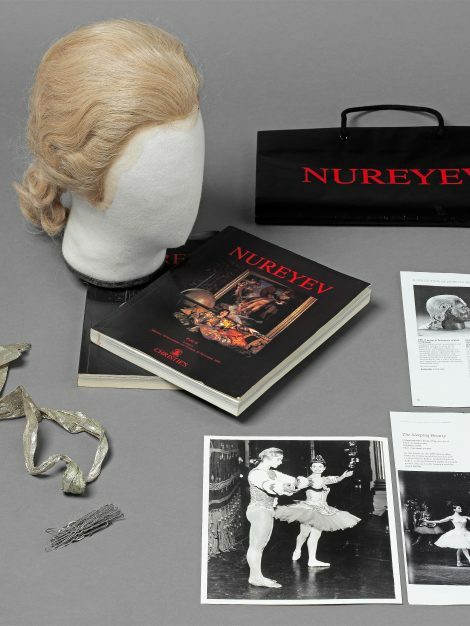 This wig was bought at the sale of the dancer Rudolf Nureyev’s effects held by the auctioneers Christie’s in November 1995. 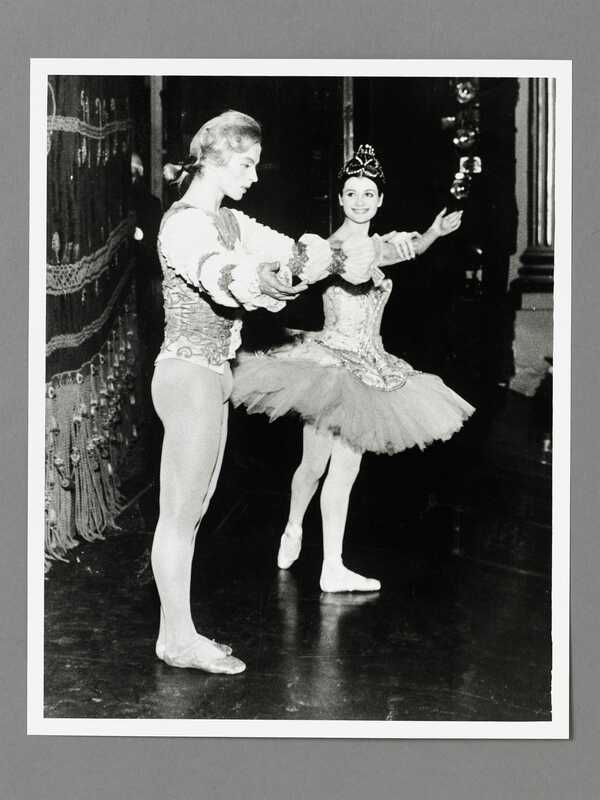 Nureyev was the most celebrated male star of the Western ballet world from the time of his defection from the USSR in 1961 until his death in 1993. Originally dancing with the Mariinsky Ballet Company (formerly the Kirov) in Moscow, he was associated with the Royal Ballet at Covent Garden, where he established a memorable partnership with Morgot Fonteyn, from 1962. 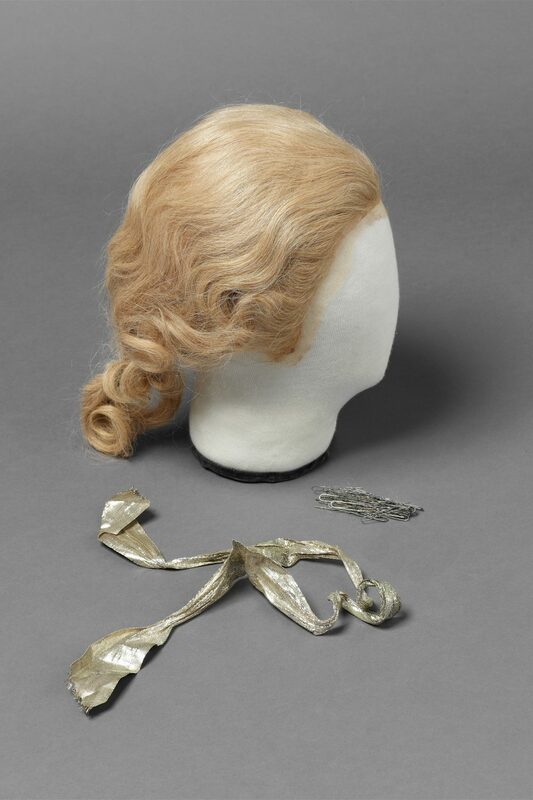 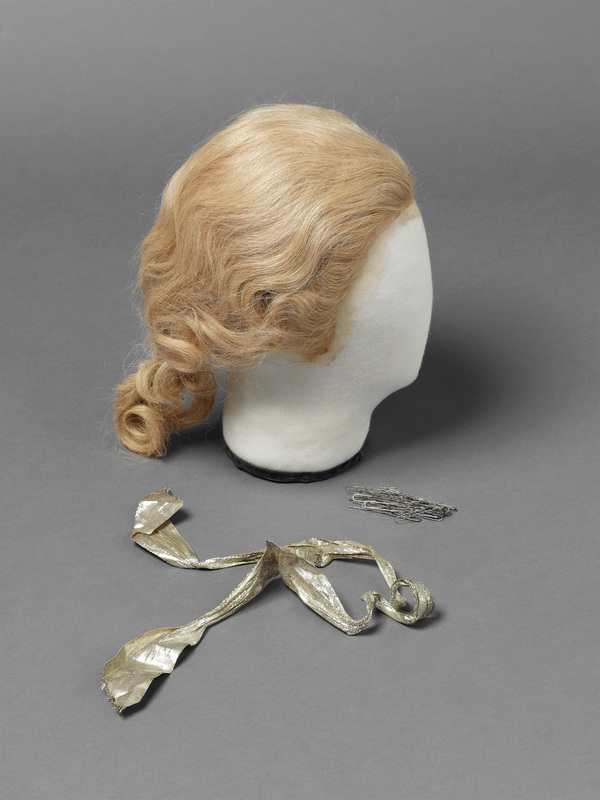 The wig is in 18th Century style, with a silver coloured ribbon to tie it back and metal hairgrips to keep in place. 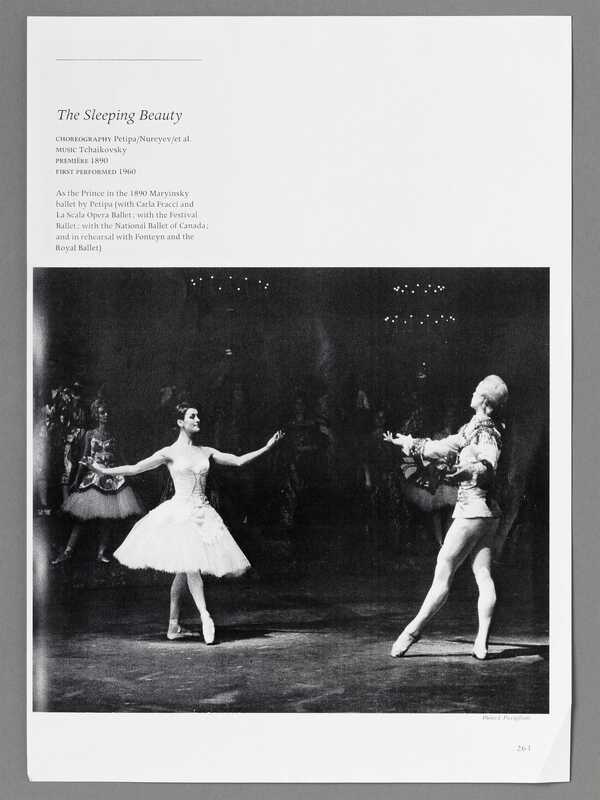 It is believed to have been worn by Nureyev as Prince Florimund in the 1966 production of ‘The Sleeping Beauty’ at La Scala, Milan, designed by the Greek stage designer Nicholas Georgiadis. 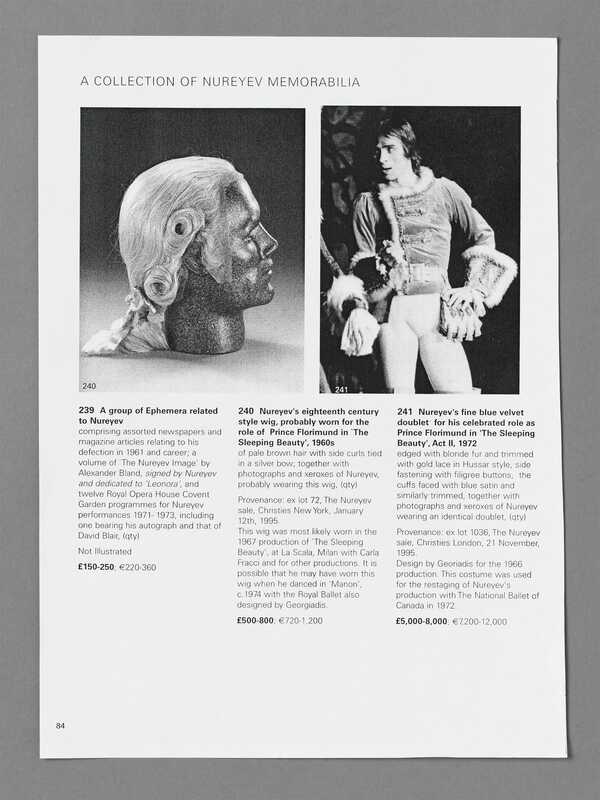 An original costume sketch shows the wig worn with a hunting outfit of fur trimmed blue coat, tricorne hat topped with feathers, pale coloured breeches and high buttoned boots. 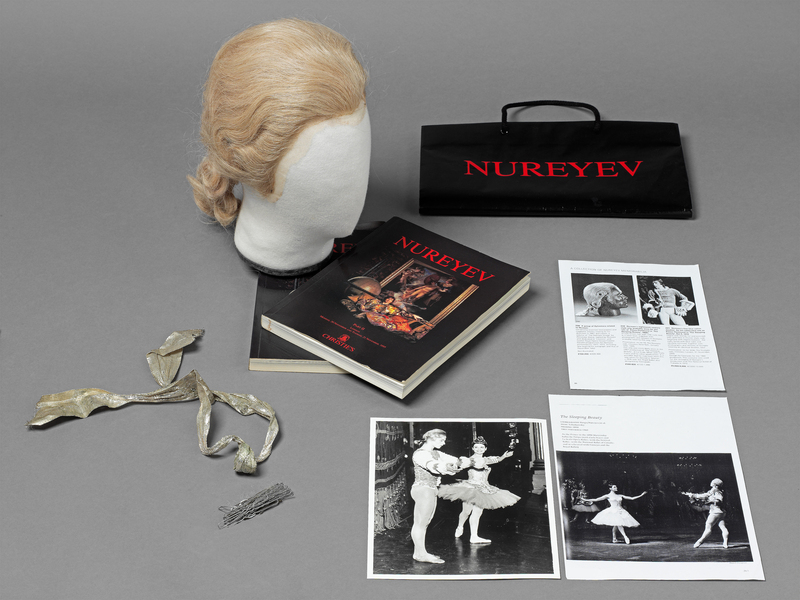 Additional Images show the sale catalogues and carrier bag, and copies of photographs of Nureyev’s performances in ‘The Sleeping Beauty’ included in the lot.